Ken Rudin's "Election 2016: One Year Out"
Join Political Junkie Ken Rudin as he offers a broad examination of the 2016 presidential election in an hour-long "Political Junkie" special. In "Election 2016: One Year Out", Rudin is joined by veteran political analysts and journalists to discuss the key issues at stake, review critical moments from the campaign so far, and evaluate how the candidates are connecting with voters. Ken and his guests also examine how the early primary states gained their modern-day prominence, take an early look at noteworthy House and Senate races to watch next year, and shares answers to listener-submitted questions about the election cycle. Leading off the special are two brilliant political strategists, Vin Weber (R) and Anna Greenberg (D). The two size up their respective presidential fields and share their observations, analyses and surprises. There are also battles for control of Congress. Lisa Hagen of National Journal's Hotline talks about the themes in the nation's House races, and Larry Sabato of the University of Virginia goes over the key battles for control of the Senate. David Yepsen, who for 34 years was a political reporter for the Des Moines Register , takes us through the history of the Iowa caucuses and reviews the surprises and special moments. Finally, Greg Giroux of Bloomberg News joins Political Junkie host Ken Rudin in taking questions from listeners. 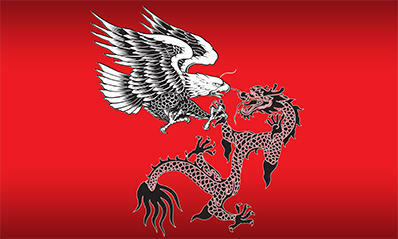 Intelligence Squared U.S. ~ "Are China And The U.S. Long-term Enemies?" Is China’s ascendancy a threat to the U.S.? China’s rise as an economic and military power, coupled with its aggression in the South China Sea, have led some to call for a major rebalance of U.S. policy and strategy. Can China be trusted to act as a responsible global stakeholder? And will they be a long-term ally, or adversary? Intelligence Squared U.S. host and moderator John Donvan guides this debate over U.S. relations with China.